How many times has your husband come home from the church totally “spent” and had nothing left for you or your family? We don’t have to be in ministry very long to realize it can be very draining. I dare say you experienced this over the past few weeks with all the demands of Easter. I want to share with you what one of our Advisory Team members has to say on this topic that I believe will be very helpful to you. “It is natural to have times when life and ministry leave you more spent than what is best. When my husband has those moments, I should kick into overdrive and serve him by picking up the slack and ministering to him in a special way. (After all, he has given of himself to the flock all day.) Next week I may be the one that is “spent” and will need him to help me by giving me a little more grace and help. If, however, this has become the norm and the way of life for your husband . . . he needs to make some changes for the health of all of you! Pray for your man!!! He does not need your nagging or complaining, but he does need your prayers for a change of heart and direction – only God can do this. Look for a good time to share your honest concerns with him. Pick a time when he is free from demands/distractions/kids/fatigue/etc. You may even want to schedule a time with him – give him warning that you want to have a serious talk. 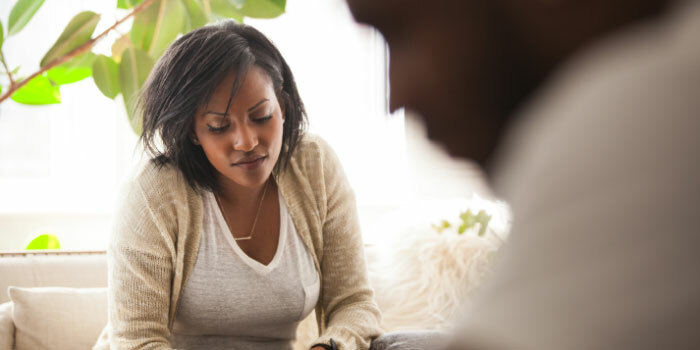 Start the conversation by telling him how much you love him and want to see him functioning in a healthy manner for himself and for your marriage and family. Let the initial focus be on him and how you want what is best for him. Then express how you believe that he will enjoy his marriage and family more if he is able to do a few things differently. Let him know that you want to be his reward at the end of the day . . . not just another task to do or resent. Avoid being condescending or accusatory or irrational in any way. Be specific and avoid general statements. Ask God to help you with this important conversation. Ladies, we all need a reminder on the best way to approach this subject with our husbands and I appreciate what Suzy shared with us today and believe it is vital that we keep these things in mind. We must set healthy boundaries in ministry, or it will consume us. We are here to help you in any way we can on your journey.